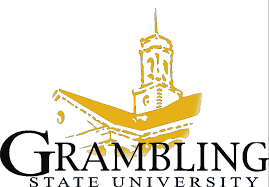 Grambling State University administrators plan to hold a town hall meeting Thursday to address potential steep midyear budget cuts to higher education institutions. Students, faculty, staff, and alumni are encouraged to attend the meeting to ask questions about Grambling State’s budgetary status. The proposed reduction of state funding would gut $2.5 million from Grambling’s budget with less than five months left in the fiscal year. President Willie Larkin will host the meeting. Last month, he established a budget and priorities committee to develop criteria for budget slashing decisions. The event will be held in the Betty E. Smith School of Nursing Auditorium, Thursday, Feb. 11 at 11 a.m. Questions may be emailed to Mitzi LaSalle at lasallem@gram.edu. The meeting will be posted to YouTube on Feb. 15. LSU Shreveport’s chancellor held a budget forum Monday to discuss what would happen if the university’s state appropriation would shrink by $1.2 million this fiscal year.